“Christ consciousness is an expression of divine love that comes straight from the universal heart. It triggers a transmutation, an evolution so absolute that we are irrevocably changed. We increasingly become an embodied expression of pure divine will and an unwavering expression of divine love for all who are in need. This process takes lifetimes to complete. As you proceed, you will receive countless blessings to support your journey and fulfill your soul purpose of serving love. There will also be tests. These give the spirit a chance to develop mastery. There will be tests of forgiveness. It is easier to forgive when you don’t harbour resentment at natural limitations – which is like being angry at the sun for not shining at night. Natural laws prevail, so whether we are speaking of the sun, a child, or ourselves as we grow, compassion allows forgiveness to flow more easily. There will also be tests of power. As you grow, you will become more powerful. You can use that power to help or hinder others – to manipulate them through fear, or encourage them with love. You can nurture yourself on your path, or you can relentlessly criticize yourself for your errors. You can claim your power comes from some superiority you possess, or you can see yourself as a surrendered vehicle, animated in purposeful action through the grace of the Divine. You may feel you need to sacrifice yourself for others, but you are just as much in need of love as any other being on this planet. When you are full and overflowing, what you share with others can enhance you and them. It is not a choice between what nurtures you and what nurtures others, as though those were competing needs. In the realm of the Christ, what nurtures you is actually nurturing for all. When you are feeling diminished or drained, you have been pulled out of the higher frequencies of peace and kindness to yourself, become trapped in unforgivingness or power games, or seduced by the lesser truths of another, rather than the truth of your own heart. Christ calls to you now to receive his love for you and to allow your own heart to feel the grace and healing of this. It can be a challenge to learn to love another in a way that does not harm you. Perhaps you learned that love was about making yourself less in order to help another feel like more. This is not love. Nor is it consciously chosen sacrifice. It is a heart acting out its scars from the past. Your heart deserves to experience real love. As you gently claim this for yourself, you will find much strength within, much respect for yourself and a willingness to receive much good in your life. Unconditional Love is the theme of the New Earth. It is achievable, even if it seems out of reach. It comes from within each and every one of us until it brings us together as a collective consciousness in a completely new and different way. Christ came to teach it to us. It didn’t really go as planned. He was killed and then worshipped once he ‘proved’ his Divinity. This time we are called to have faith in the process. No one needs to be crucified. We can surpass the violence, the anger, the hatred and the fear. Instead, we can choose love. That is what Christ came here to teach us. Unconditional Love, complete acceptance, lack of judgment, inclusion, connection. We are still very much trying to learn this important lesson. We have the choice, each and every one of us, to embrace Unconditional Love; to really Be it. Live and breathe it. Accept others as your brothers and sisters. See the connection between all living things. Choose love instead of fear. Drop the competition and work together… before it’s too late and we have nowhere to live. 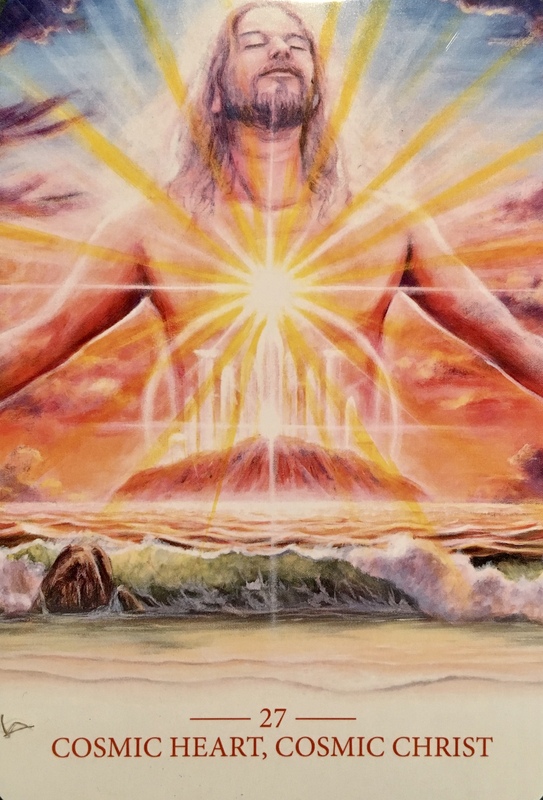 Transformation and ascension is possible. Be one of the hundred monkeys and let the collective pick up on YOUR loving, accepting and inclusive vibe. Teach by being what is so needed right now. Lead by example. Embrace it with every atom of your being. Be the catalyst for the shift in collective consciousness. One by one by one we come together.